The Yarra Valley covers an area from Lilydale, 40 kms north east of Melbourne, through Healsville and Coldstream. A large variety of cool climate crops have traditionally been grown in the Valley, including apples, lemons, pears, cherries and berries. There are around 85 vineyards and wineries in the Valley and many different selections of wines, several with cellar door tastings, accommodation and restaurants. Includes Montrose, Hoddles Creek, Yarra Junction, Silvan, Gladysdale, Coldstream, Wandin, Seville, Monbulk, Yarra Glen, Lilydale and Healesville. Lilydale Museum, The Towers, Athenaeum Theatre Co, Redgum Gallery, herb farms, district wineries, Wandin Valley farms, Warratina Lavender Farm, Gumnut Village, Healesville Sanctuary, Healesville Art Gallery, Hedgend Maze, The Yarra Valley Tourist Railway and the Warburton Trail. How can I get to the Yarra Valley? Lilydale is the gateway to the Yarra Valley and is 40 kms north east of Melbourne following the Maroondah Highway. It is also the terminus of the Melbourne metropolitan rail service and public transport through the Yarra Valley beyond the rail system is irregular, so your own transport is desirable. Weather conditions in the Yarra Valley can change drastically and rapidly. Always ensure that you wear clothing which gives protection from the weather and the working environment. Take adequate rest, ready for the day ahead and have plenty of water for drinking. The Valley offers a range of accommodation for working holiday makers including resorts, motels, hotels, self contained units, backpacker hostels, caravan parks, B&B’s and guesthouses. 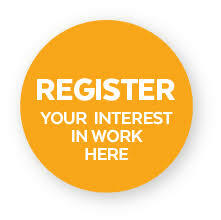 For information on finding work, careers and training, and other Labour Market information. The Australian WorkPlace is a product of the Department of Employment and Workplace Relations. For information on visiting and working in Australia, and postcode areas eligible for second Working Holiday Maker visas. For information on Australian taxation system including online Tax File Numbers and associated details. For information on the Australian Wool Industry. Wool harvesting employment opportunities can be found on this website. To reduce the risk of spreading Queensland fruit fly, you must not take fresh fruit (including tomatoes, capsicums and chillies) into a fruit growing area. Fruit infested with fruit fly may appear to be intact on the outside. If you have mistakenly taken fruit into a fruit growing area, it should be placed in a sealed plastic bag and left in the sun for a minimum of three days, and then placed in the rubbish bin. Maggots can also be killed by stewing or freezing the fruit.